Florida Dog Bite Injury; Invited Guests At Summer BBQ – Who Is Liable? You may have heard about a dog biting a child in the neighborhood or when they are walking to the store. Sometimes a dog can escape from his owner to cause serious damage to other people, especially children. When situations like this arise, maybe but not always resulting from when a dog escapes from its owner and then bites a child or a pet, who is liable? Is the owner liable for the attack or is it someone else? In order to answer such question, there is the need to under the statute governing dog bite in Florida and the dangerous dog act. 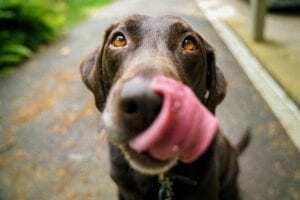 There are a lot of rules and regulations regarding dog bites which can be found in section 767.04 of Florida Statutes. This law states that dog owners are liable for any damages caused by the dog, this applies when a dog bites someone and that person is in a public place or staying lawfully on any private property. When there is a dog bite in this situation, the dog owner should take care of all the damages resulting from the dog bite. Florida is a “Strict Liability” dog bite State. According to the Florida dog bite statute, the owner will be responsible even if the dog owner isn’t aware of the dog’s dangerous brutality. It applies even if the dog owner has taken all the preventive measures to stop the dog from attacking in public. Dog owners do the best they can do to keep their dog from getting out of the property of the owner, but if the dog has roamed or escapes from the owner’s premises and causes damage to another person or pet then the owner is still responsible. Also, the owner is responsible for dog bites based upon an implied invitation to the owner’s property (such as a birthday party or BBQ) or any person involved in an active duty (such as a postal carrier or meter reader). However, the owner is not liable, except for children under the age of six, or unless the damages are caused by neglect or omission of the owner, if at the time of the injury the owner displayed an easily read sign that says “Bad Dog”. If however there is negligence on the victim’s part or he enters any residence illegally, then, in that case, the victim will be liable for whatever happens to him. In this situation the settlement is reduced for the dog owner depending on the type of negligence contributed by the victim. There is a special law that deals with dog owners who allow their dogs to roam freely in public knowing that their dog is vicious. Under section 767.13 of Florida statute; any dog owner that has full knowledge that their dog is dangerous and they are reckless by letting the dog continue to get loose and cause damage to the public, he will be charged with a 2nd-degree criminal misdemeanor. If a dog was charged and declared as a dangerous dog by an animal control authority and the dog went on to bite someone else or again, the dog owner will be charged with a 1st–degree misdemeanor offense. The dog owner can be charged with a 3rd–degree felony if the bite leads to serious injury. Does Florida Dog Bite Liability Differ From Other States? Dog bite liabilities differ from state to state throughout the United States. The dog bite liability laws that apply in Florida might not be applicable to other states even if you’re a Florida resident. Other states, for instance, use the “one-bite-rule”, this is a rule that states that before a victim is compensated for a dog bite by the owner, the dog must have previously bit another person. This means before getting compensation the dog must have been declared as a dangerous or vicious dog. When Is A Dog Considered As Dangerous? When a dog aggressively attacks someone and causes serious injury to the person. A dog that has killed another animal multiple times or if it causes serious injuries to another animal more than once. A dog that chases people without been provoked. If a dog bites you or a loved one, you have the right to make a claim; it’s good to gather proof that shows that the dog is dangerous. If the victim is responsible for provoking the dog. When the victim unlawfully enters the dog owners property. If the dog was defending its owner from an attack. There are a lot of laws that govern dog bites in Florida. Whenever a dog bites you or a loved one, you may need to consider hiring a professional attorney. Contact us now at Massey & Duffy, for a free consultation on dog bite claims.